We had a fantastic stay. Loved the interior - very tastefully decorated and contemporary. Great open space in living area - we had a toddler with us and he really enjoyed it. Very well equipped kitchen. It was 2 min walk to the beach, which was amazing and Carmel Market next door too. Meant feeding and entertaining our son was a breeze, one of the easiest holidays we’ve had. This was my first experience with TelAvivHome and I would do it again with Golan. The area is really perfect to stay: close to HaCarmel, to Rotshild, Neve Tzedek and also the beach! Golan's representative was very helpful and arranged everything. Amazing view of Tel Aviv. The apartment is located in a perfect location. A short walk from old Jaffa, Florentine, and Rothshield Boulevard. We had a great stay. Oren was very helpful and always ready to give us suggestions and tips on what to do in Tel Aviv. I would highly recommend staying at this apartment! Convienience, location, safe. A binder at the home to explain local area, transportation, how to access WiFi, turn on the hot water etc., would be a nice feature. Brand new and clean. Air condition is silent and nice in combination with ceiling fans. Flaw-less high-speed internet via cable-TV line (including pay-TV programs). Home automation gives extra comfort, e.g. rolling down all sun-blinds at the push of a single button when leaving the apartment. The modern kitchen includes all kind of dishes pot and pans. Even sharp knives. Basic cooking ingredients like sugar, salt, olive oil are there. A nice and cosy apartment closed to the beach. Clean and very comfortable. The host was very responsive and helpful. I really enjoyed the stay and looking forward to come back. Lock in a great price for Tel Aviv Vacation Apartments – rated 9 by recent guests! One of our best sellers in Tel Aviv! 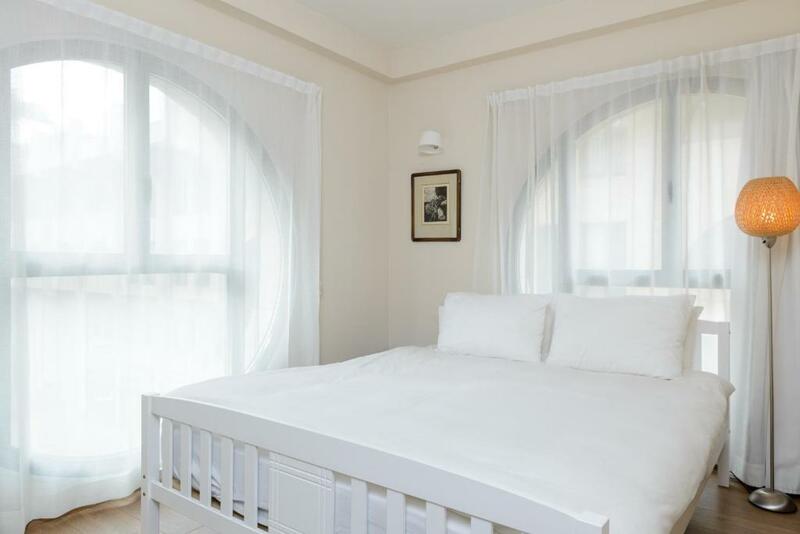 Tel Aviv Vacation Apartments is set in the heart of the city, 5 minutes' walk from Dizingoff Shopping Center and surrounded by bars and restaurants. It offers modern apartments with free Wi-Fi. Each apartment has a contemporary design and a flat-screen TV. The kitchen includes a washing machine and clothes dryer and you will also find a mobile phone with an Israeli SIM card. You are 15 minutes' walk from Carmel Market and have a variety of shops in the area. Guests will have free access to a fitness room available in the building. 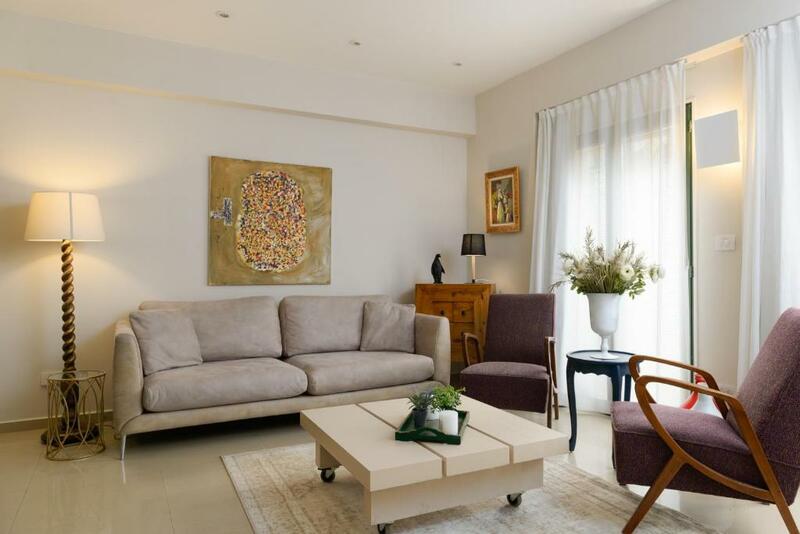 뀐 Located in the real heart of Tel Aviv, this property has an excellent location score of 9.3! 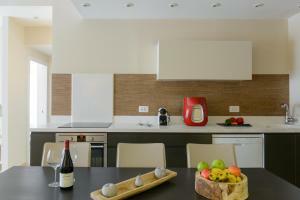 When would you like to stay at Tel Aviv Vacation Apartments? This modern apartment offers free Wi-Fi and a flat-screen TV. It features 2 bedrooms and a living room with kitchen complete with a washing machine and clothes dryer. Every apartment includes a mobile phone with an Israeli SIM card that you can use while on holiday. This apartment is located on King George 74. The apartment has free Wi-Fi and a flat-screen TV, as well as 2 bedrooms and a living room with kitchen, dishwasher, washing machine and dryer. Each apartment has a mobile phone with an Israeli SIM card which you can use during your stay on the site. This modern apartment offers a balcony, free Wi-Fi and a flat-screen TV. It has 2 bedrooms and a living room with kitchen, washing machine and tumble dryer. Each apartment has a mobile phone with an Israeli SIM card, which you can use during your vacation. Offering a balcony, this larger apartment has free Wi-Fi and a flat-screen TV. It features 2 bedrooms and a living room with kitchen complete with a washing machine and clothes dryer. This apartment can accommodate 2 extra beds. This apartment is located on Shimshon Hagibor #1. The apartment has free Wi-Fi and 3 flat-screen TVs, as well as 2 bedrooms and a living room sofa that opens into a bed, it includes a kitchen with dining area. There is also a small balcony with 2 chairs. The apartment has a mobile phone with an Israeli SIM card which you can use during your stay on the site. Completely renovated and refurbished in 2011, this apartment features linen drapes, an open-plan kitchen and gray stone floors. It comes with a lounge and a kitchen and dining area, entertainment system, business facilities, alarm system, balcony and elevator. Babies and small children can be accommodated upon request. This apartment features a kitchenware, microwave and dishwasher. 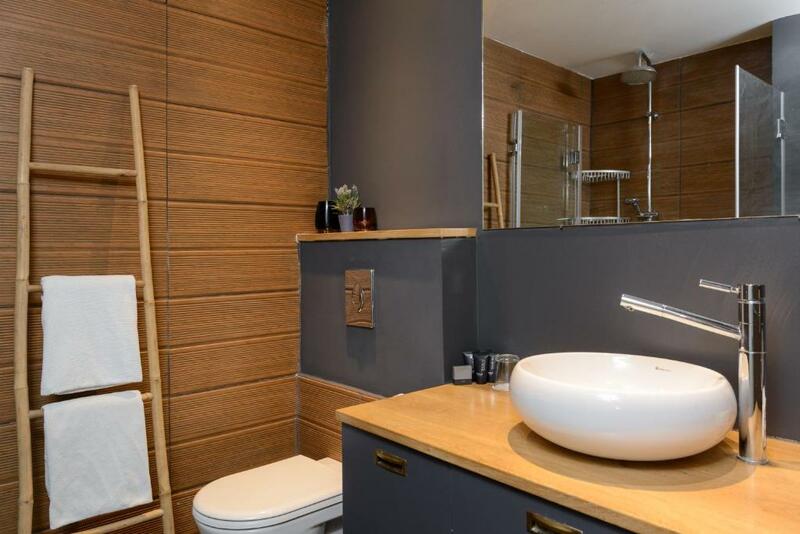 This apartment features a washing machine, tumble dryer and satellite TV. This apartment features a tumble dryer , air conditioning and satellite TV. This apartment has air conditioning, dining area and sofa. This apartment features a microwave, satellite TV and dining area. This apartment has air conditioning, electric kettle and satellite TV. This apartment features a kitchenware, balcony and air conditioning. This studio features free WiFi, 2 flat-screen TVs and a seating area with a sofa bed. It has a free sauna and unlimited soda. This apartment features free WiFi, 3 flat-screen TVs and a seating area with a sofa bed. There is also a small balcony with 2 chairs. This apartment features a balcony, kitchenware and private entrance. Please note that the room includes free electricity usage of 20 kWh per day (eligible for guests who stay less than 28 days). 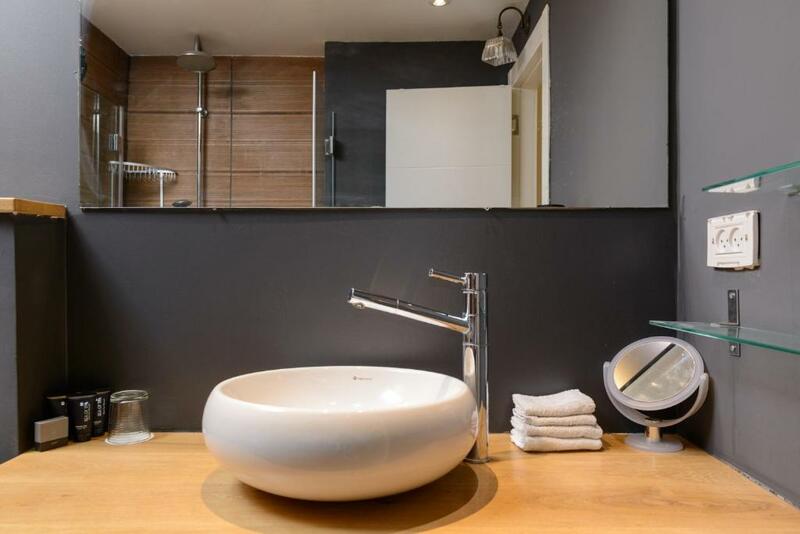 This apartment features a kitchenware, cable TV and washing machine. This apartment has a private entrance, kitchenware and seating area. 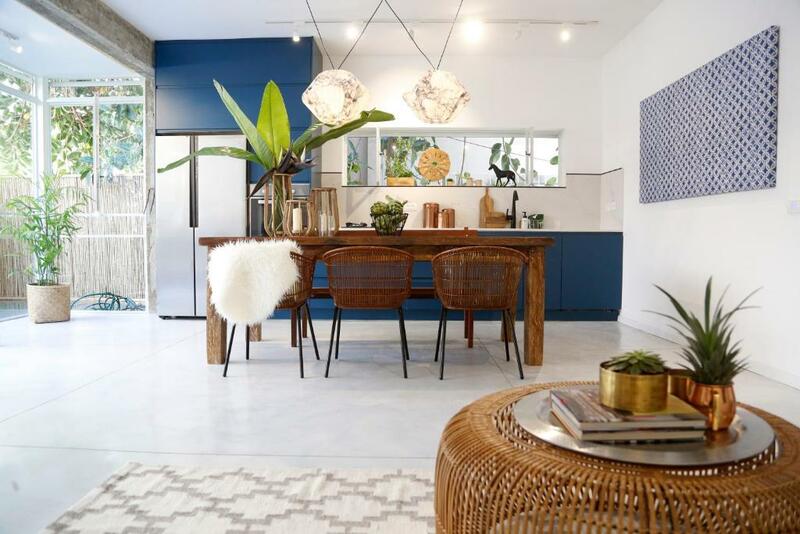 Tel Aviv Home - Urban Holiday Rentals in Tel Aviv The Apartments consist of recently renovated, stylishly designed, fully furnished, self-contained 2-bedroom apartments located in the center of Tel Aviv. Each 75 sq. m. apartment is purpose-built to accommodate visiting families or individuals and serve as an ideal base to explore Tel Aviv and central Israel. There’s a new way to stay in a city: live like a local. We provide fully furnished, high-end, affordable homes ranging from one bedroom to as large two bedrooms. You can rely on us to find you a perfect place to call home during your stay in Tel Aviv. Why stay in a hotel when you can stay in a luxury residence at a fraction of the cost? The Apartments provide both vacationers and business visitors to Tel Aviv with the perfect alternative to a hotel. Ideally suited to guests who want to experience the true Tel Aviv, the Apartments offer professionally-designed, fully furnished luxury 2-bedroom, 75 sqm (approx. 775 sq. ft.) residences for short-term stays. The apartments contain all the facilities and amenities required to create the perfect visit to Tel Aviv. Our goal is to provide you with an unforgettable living experience. House Rules Tel Aviv Vacation Apartments takes special requests – add in the next step! One older child or adult is charged ILS 51.88 per person per night in an extra bed. Tel Aviv Vacation Apartments accepts these cards and reserves the right to temporarily hold an amount prior to arrival. This property does not have a reception. Please communicate your expected arrival time in advance. You can use the Special Requests box when booking or contact the property. Please inform Tel Aviv Vacation Apartments of your expected arrival time in advance. You can use the Special Requests box when booking, or contact the property directly using the contact details in your confirmation.